Did Kris Jenner Drop Hint At Kylie Jenner’s Pregnancy? 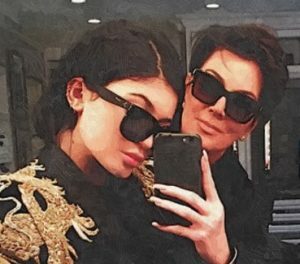 Kris Jenner leaves many viewers of “Keeping Up With The Kardashians” after expressing her concern about Kylie Jenner’s certain situation. The Kardashians’ mom appears to dish the scoop that her daughter is expecting a child on Sunday’s episode of the reality show. She reveals that the 20-year-old reality star is having problems with a staff member taking photos of her at her home. She really feels bad for her daughter because there’s always somebody that’s trying to exploit a certain situation, which is really stressful. The 62-year-old mom-ager adds that it is extremely upsetting when she feels like you can’t be in your own bedroom or bathroom. Although she wants to be able to trust the people, who surround her, they have to really be on alert all the time. Meanwhile, Kylie has not confirmed the pregnancy amid reports she has split from her boyfriend Travis Scott. Is Brad Pitt Back On The Dating Scene After Splitting From Angelina Jolie?